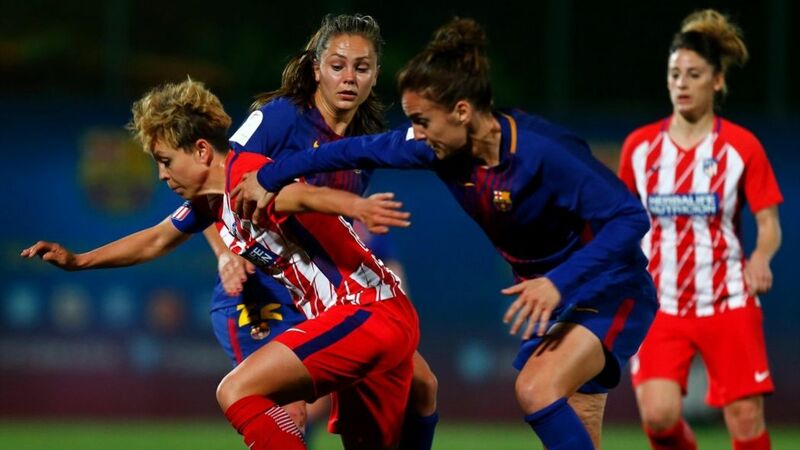 For the second time in its history, FC Barcelona women’s club will play a Champions League semi-final. The first time they reached this round (never before had a Spanish team achieved it), it was in the 2016/2017 season, when PSG woke them up from sleep with a 5-1 aggregate result. The players lived a historic day a week and a half with their teammates from Atlético. More than 60,000 people crowded the Metropolitan Wanda to witness a very important match in the fight for the Iberdrola League title. 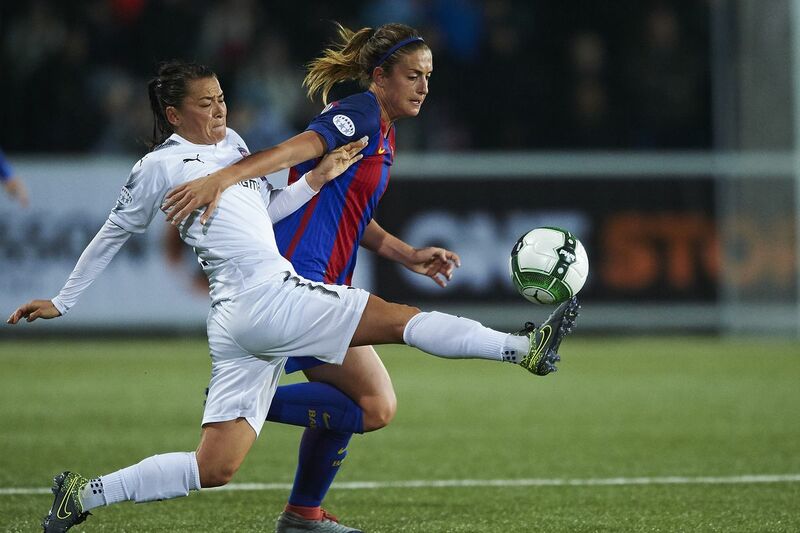 “Hopefully the opportunity to play at the Camp Nou comes,” said Vicky Losada, the captain, at the end of the match. “We would be very excited to play in the Camp Nou, but much more fill the Mini Estadi,” confessed Lluis Cortés, the coach, in a clear exercise of sincerity. The technician didn’t lack reason because after the public embarrassment in the Metropolitano the Barcelonistas came face to face with the reality three days later: only 5,500 people attended the first leg of the Champions League against the LSK, the best entry of the season, and even with the tickets being free for anyone who wanted to watch and support the team. Sadly, the fans do not answer and the board is aware that opening the doors of the great temple of Blaugrana is still an aspiration, for the moment, unattainable. 🚩 FINAAAAAL! A SEMIS @UWCL! Despite the unstoppable growth of women’s football in Spain, the reality is far from the image witnessed in the Wanda. 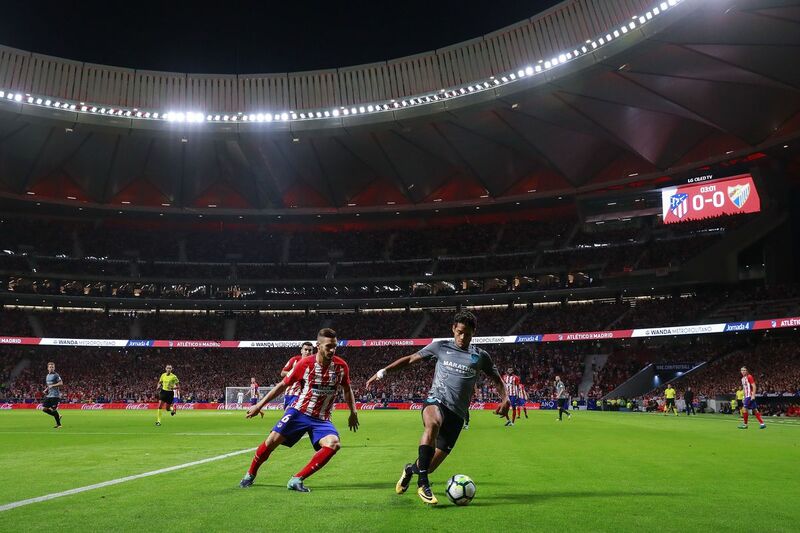 The initiatives carried out to fill large stadiums such as San Mamés, Benito Villamarín, Anoeta or Mestalla; among others, they are still very sporadic. Frankly, the average attendance of the league rotates between half a thousand and a thousand spectators in the best case. No one at Barça escapes that part of the success of the colchoneras call had to do with the intention to celebrate the league title and turn the afternoon into a sports party. But yes, when the Catalans have tried to organize something similar they have not met with such a massive response from their fans. Unlike other teams that have more mobilized their people, the azulgranas still cost too much to attract a notorious public to their facilities. Even with the good sporting results. Not even the next Champions League semi will encourage the club’s dome to cite its partners at the Camp Nou, nor a hypothetical comeback in the league. The entity has to keep working. The important budget investment carried out this year (3.5 million) has not been enough to convince a hobby that sees the Iberdrola League as a minor competition and Europe as an impossible dream given the broad portfolio handled by the French and German teams (Lyon and PSG have 20 and 14 million euros respectively, for example). Despite the huge economic difference, the club competes, but their deeds are not enough, so it is necessary to improve the promotion and encourage a greater number of activities that engage the partner and invite him to attend the Mini Estadi every weekend. The club tries hard, but the landscape is still not flattering. The club has opened the doors of the Mini, with capacity for 15,000 spectators, on numerous occasions. Except for a few times against prestigious rivals, attendance has been discreet. Hence, the club wants to go step by step. “It’s important that every time we play there, it fills up. When the capacity of our matches increases will be the reason to assault higher levels, “says the goalkeeper Sandra Paños. The Camp Nou has a capacity of almost 100,000 people, so the steps to be taken must be taken with special care. A Wanda with 60,000 people is not the same as a Camp Nou. Obviously, it is a number that the azulgranas leaders would sign with their eyes closed, but there would still be almost 40,000 empty seats, which could cause a certain feeling of coldness in the stadium. It’s a matter of time. Few cities are as qualified as Barcelona to beat records: for the power of their base sport, for the fact of being able to double in women a Barça-Espanyol derby that unleashes so many passions, for the planetary projection of the Barça brand or for its culture sports and multidisciplinary. That the structure of women’s football ceased to be constantly challenged by the conflicts between LaLiga and the RFEF would also help. The dream of the Camp Nou has yet to wait, but it is getting closer. Will it happen? We’ll need to wait and see.